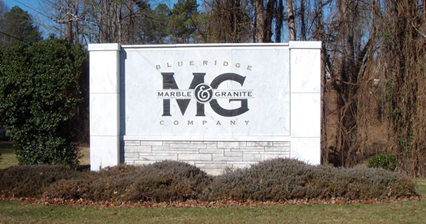 Blue Ridge Marble & Granite Company was established in 2006. The Memorial Division at Blue Ridge Marble & Granite Company produces some of the finest Georgia Marble Monuments in the world. 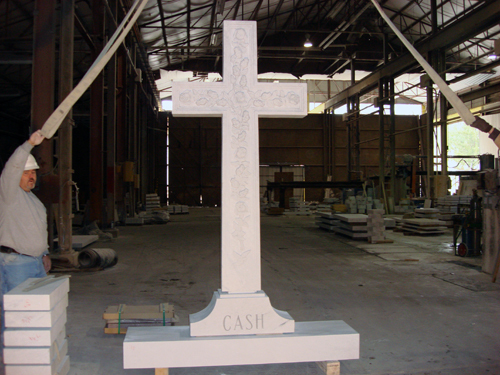 We furnish personal monuments, markers, private and public mausoleums and a variety of decorative features. Every piece is calibrated to ensure a level surface with precise thickness. Our hand cutters are second and third generation marble fabricators with decades of experience who take pride in their work. We do all kinds of carving from sandblast to full relief to create the perfect monument. We have a turning lathe and can turn anything from a small vase/urn up to big marble columns for a more extravagant monument. Blue Ridge Marble & Granite Company Drafting Department has a full line of mausoleum designs as well as custom mausoleums for a one of a kind need. We offer a redi-build line that is delivered erected and ready to set in the cemetery. Blue Ridge Marble & Granite Company staff treats every client with the upmost respect, whether they are buying a small marker or a mausoleum. We have preserved all files and records of any monument fabricated by Blue Ridge Marble & Granite Company, Canton Finishing Works, and Georgia Marble Company since the start up date of each company. With these records we can precisely replicate any monument.